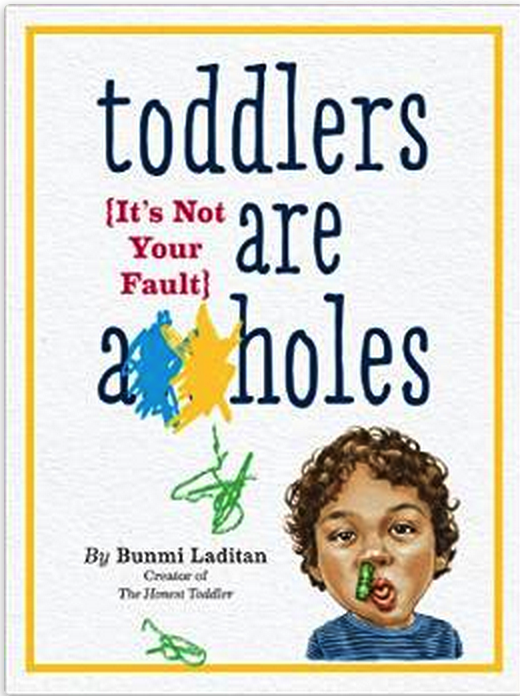 The Honest Toddler of the Day is an honor given to young children who embody the toddler principles for living. Today we honor PatsyJane for her negative behavior. PatsyJane, or PJ as I like to call her, is the youngest of three children but it's safe to say she requires the most attention. Her photo stood out because of her expression. It says, "Who me?" I'd like to think there is something destroyed nearby like a shredded checkbook. "She she loves being carried even though her legs are fine...bossing her 9 and 11 year old siblings around. And making her Mommy rethink every parenting skill she knew from the first two." PJ, we know your legs are not fine. You are very tired and need up. Thank you for taking a stand (no pun intended). In an exclusive interview with her mom I learned that PJ's three favorite foods are: cookies, noodles, and gum. Not only does she avoid walking and make good faces, she also has a refined palate. "She recently got a plastic fork stuck in the Wii because she "don't want to dance no more." Because she don't want to dance no more....profound. This level of problem solving and critical thinking skills will take you far in life, PJ. Business organizations will begging you for advice. No one can make you dance. You handled this situation with skill and grace. "She is also fond of dumping crumbs on the floor, lifting Mommy's shirt in public to rub bellies and saying she wants yummy oatmeal for breakfast but never eating it." 1. Crumbs are an embarrassment and it's normal to want to distance yourself from them. 2. Stomachs are not a private part. Sometimes you want to show the world where you came from and that's fine. 3. Watching someone cook a meal is often just as satisfying as eating it. You're normal. PJ, you are a role model of a toddler and will go far in life. Don't listen. PatsyJane has won an unopened box of chocolate Dunkaroos and a copy of The Honest Toddler: A Child's Guide to Living in paperback when it comes out April 22nd. *Facebook is not associated with this contest and has nothing to do with it. Facebook is not liable. You can enter as many times as you want and photos are chosen from all the days- past and present. If you are a winner, message me with your coordinates for prize distribution.